JOIN NOW! A basic membership comes with one free student/family directory. The LAHS Parent Teacher Student Association (PTSA) provides general volunteer and financial support to the high school. 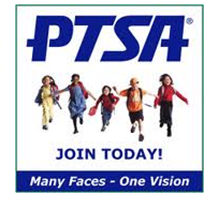 PTSA works to promote communication and understanding between parents, staff and students. Your membership dues primarily support programs on the LAHS campus. In addition, a small portion of your dues supports the Local, State, and National PTA organizations who lobby our elected officials to fund public education.